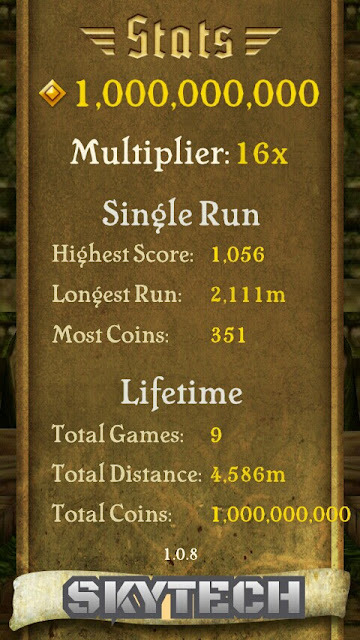 Temple Run is no doubt one of the most famous games on Google Play store and has got thousands of download. And also the Temple Run 2 is out now.But still the old is gold. But to purchase all the stuff like power ups and characters you’ll need money(not real money). For that you will have to play n play the game but thats time consuming. So the Temple Run Patcher comes to rescue. You will a whooping 1,000,000,000 (huge amount is’nt it?? ) coins to your game, in other words unlimited coins. Requirements :- Temple Run, Temple Run Patcher and a file manager. 1. Download temple run patcher.apk from above and install it using any file manager.